If you have resolved to quit smoking, here is a powerful and completely free tool to help you achieve success through the employment of your greatest asset, your mind. I said goodbye to a dear friend and treasured client today. She succumbed to the effects of cigarettes. She is not the first that have lost this way and I am certain she will not be the last. Statistically, since September 2001 over SIX MILLION Americans have died because of cigarettes and other tobacco products. Personally, I consider tobacco to be a very powerful and sacred Medicine. It is the adulteration of this medicine, causing it to be more addictive and destructive, that makes it profane. Cigarettes are to tobacco what Velveeta is to cheese! 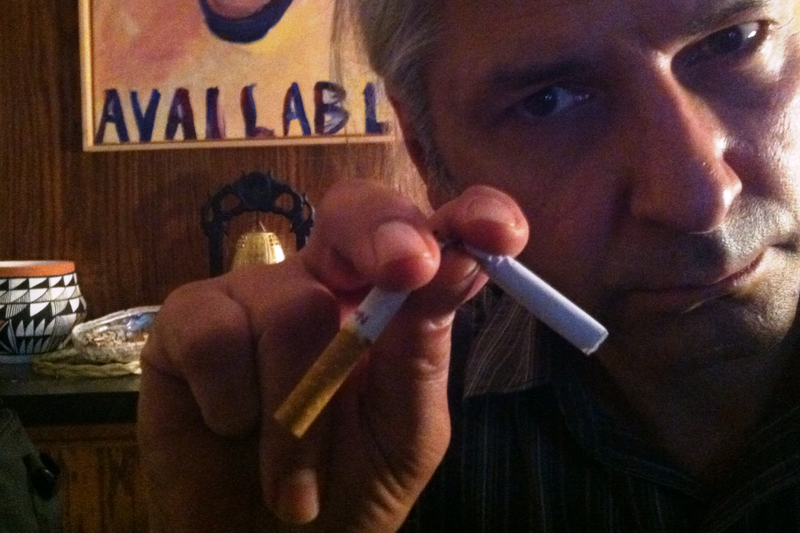 Since 1995 I have used hypnosis to help many live free of the abuses of cigarettes and other tobacco products. In these nearly twenty years I have learned two things about about their success. The first is that when it is time to quit, it is time to quit. There is a moment of self-perception as a nonsmoker and all behavior matches that going forward. The second is that no matter how much time has passed: ten, twenty, or fifty years, I am constantly told by individuals that becoming a nonsmoker was the best thing they ever did for themselves. Science supports this. When we have smoked our last cigarette, our body immediately begins to heal. In Honor of my friend J., I have decided to make my Nonsmoker Now! Audio Hypnosis Program available at no charge. Please download, share, and download. I will consider every download a moment of triumph and tribute to those affected by nicotine addiction. I recommend that you throw away all cigarettes and related items now and listen to this recording at least once a day for the next ten days. To help manage stress, I recommend the following program.